Find out more about the Lorex Wide-Angle HD 1080p Security Camera with pricing, a list of features, and commonly asked questions. The Lorex Wide-Angle HD 1080p Security Camera is a vandal-resistant indoor/outdoor security camera from Lorex. 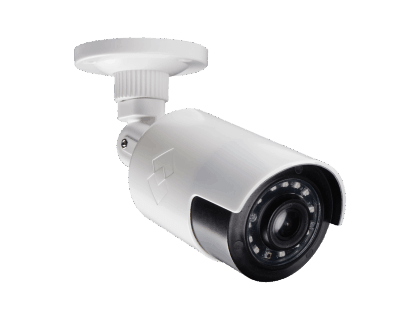 The camera can be installed on a wall or ceiling and used to closely monitor activity on a business or residential property. 160 ° super wide angle ideal for open areas. 1920 x 1080 High Definition video. 90 ft. night vision range. Pros: 160° field of view. Connects easily to DVR systems. Cons: Only 90 ft. of night vision range. Bottomline: An affordable security camera that can be used in a wide variety of locations. Design with cable pass-through bracket and durable Polycarbonate construction. What are some Lorex Wide-Angle HD 1080p Security Camera alternatives? Where can I buy the Lorex Wide-Angle HD 1080p Security Camera? You can purchase the Lorex Wide-Angle HD 1080p Security Camera on Amazon, or on the Lorex website. Does the Lorex Wide-Angle HD 1080p Security Camera work at night? Yes, the camera is equipped with a night vision function that can see up to 90 ft.
Can the Lorex Wide-Angle HD 1080p Security Camera be used in any weather? The Lorex Wide-Angle HD 1080p Security Camera has a weatherproof exterior, so it can be used in any weather conditions.